Veolia Deploys CNG Powered Fleet to Evansville, Ind. 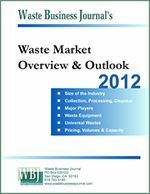 Source: Veolia ES Solid Waste, Inc.
Veolia ES Solid Waste, Inc. (Chicago, IL) is replacing its Evansville, Ind. fleet with 28 new compressed natural gas (CNG) powered refuse trucks. The new trucks, which cost about $350,000 apiece, were built by Autocar and Kenworth. The entire project, including an on-site compressor, comprises a $12 million investment which was helped by a $500,000 Clean Cities grant from the state of Indiana and supported by federal funds. Evansville was chosen for that reason and its natural gas infrastructure, which Vectren built for this project, and its relatively flat topography, among other factors. The fleet will service about 24,000 customers in the market which includes parts of Central Kentucky and Southern Illinois. Veolia ES Solid Waste, Inc., the solid waste division of Veolia Environmental Services North America (VESNA), today announced the introduction of Indiana's first fleet of compressed natural gas (CNG) powered refuse trucks to its Evansville, Indiana (Vanderburgh County) service area. A ceremony attended by Mayor Lloyd Winnecke, Veolia executives and members of the Evansville community was held today at the Veolia ES Solid Waste -- Evansville location to celebrate the company's new fleet and CNG fueling station. Indiana-based manufacturer Autocar built the chassis for 20 of the trucks and Kenworth manufactured eight roll-off trucks for Veolia's new fleet. All will service over 24,000 residential and commercial customers across Vanderburgh, Warrick, Gibson, Posey, Spencer and Henderson counties in the greater Evansville area. Customers will notice the new trucks run approximately 15 percent (8-10 decibels) quieter than trucks powered with diesel engines. The trucks also come equipped with automated collection systems that increase efficiency, protect the health and safety of drivers, prolong the life of the truck and further reduce emissions. The CNG fueling station in Evansville utilizes time-fill fueling technology that allows drivers to fuel their trucks during overnight hours, minimizing administrative and operational downtime. In addition, Veolia recently received a $500,000 Clean Cities grant to support its investment in a new CNG fleet. The grant is supported by federal funds through the Indiana Office of Energy Development in support of the Alternative Fuel Vehicles (AFV) program. CNG is one of the cleanest and most socially responsible alternative fuels available today, making the benefits of CNG from both an environmental and economic standpoint hard to ignore. Over 98 percent of CNG fuel resources are located in North America, which means there is a reduced carbon footprint associated with mining the resources and transporting the fuel to domestic locations as compared to foreign oil and offshore drilling. CNG also produces 29 percent less carbon dioxide than oil and is 90 percent cleaner than diesel in its natural state, thus reducing the trucks' overall operating impact on the environment. "We're very pleased to be the first waste hauler to bring CNG technology to Indiana," said Jim Long, president and CEO of Veolia ES Solid Waste, Inc. "Veolia recognizes that the Evansville community is devoted to sustainability and protecting our environment. Since CNG is much cleaner and more efficient than diesel, our customers can be assured that their waste service provider is helping to protect our environment and reduce pollution." As of 2012, Veolia operates four CNG fueling stations and over 100 CNG-powered refuse collection and support vehicles in North America. About Veolia ES Solid Waste, Inc.
Veolia ES Solid Waste, Inc., part of Veolia Environmental Services North America Corp., is one of the largest solid waste companies in North America, providing a full range of services to commercial, industrial and residential customers in 12 states, the Bahamas, and Canada. Veolia ES Solid Waste, Inc. operates 72 collection facilities and 29 solid waste sanitary landfill facilities in North America. Headquartered in Milwaukee, Wisc. Veolia ES Solid Waste, Inc. was named one of The Milwaukee Journal Sentinel's Top 100 Workplaces in 2011. In 2012, Veolia joined the U.S. Department of Energy's Clean Cities National Clean Fleets Partnership program. By working in partnership with communities, the company aims to preserve valuable resources and extend landfill capacity by focusing on waste reduction, curbside collection, sorting and the processing and marketing of recyclables. About Veolia Environmental Services North America Corp.
Based in Chicago, Veolia Environmental Services North America Corp. is the leading provider of fully integrated waste, environmental and industrial cleaning solutions to residential, municipal, commercial and industrial customers across the US, Canada and the Caribbean. The company is part of the Veolia Environnement companies in North America, with 30,000 North American employees providing sustainable environmental solutions in water management, waste services, energy management, and passenger transportation. 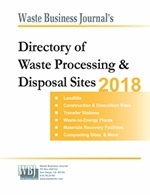 The Veolia Environmental Services group is the global benchmark for waste management and resource recovery and the only global manager of liquid, solid, non-hazardous and hazardous wastes. From waste collection to treatment, recovery and recycling, the company provides innovative, efficient and sustainable waste solutions to municipal and industrial clients. Its parent company, Veolia Environnement , is the worldwide reference in environmental services. With employees in 77 countries, Veolia Environnement recorded annual revenues of over $38 billion in 2011. Visit the company's Web sites at www.veolia.com and www.VeoliaES.com.